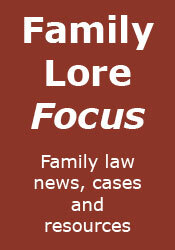 Family Lore: Venal & Grabbit launch Family Lawyer of the Year Award 2011 through Family Lore! Venal & Grabbit launch Family Lawyer of the Year Award 2011 through Family Lore! Venal & Grabbit today launched their new Family Lawyer of the Year Award 2011, and I am proud to announce that they have chosen Family Lore readers to select the winner of the prestigious accolade. You can place your vote by using the 'Vote for the Family Lawyer of the Year 2011' widget at the top of the sidebar to the right. Simply make your choice and click 'Vote'. Only one vote per person. The poll will remain open until the 15th of July. After that the votes will be counted and the award will be presented to Edgar Venal the winner. When are you going to give column space to Mr Grabbit, or is he just an illusion rather than presumably a long suffering junior partner? Ebenezer Grabbit is not a family lawyer, so naturally does not feature often in this blog. He did, however, recently get a mention in this post. My relief to learn that Mr Grabbit really exists is offset only by my disappointment that he does not practise family law. Why, in a firm like Venal & Grabbit, I thought he might be prepared to turn his hand to anything.